The pace and direction of China’s approach to reform is a good reference point for many emerging countries like India, whose currencies have been hit hard by the strengthening US dollar recently, Chinese experts said on Wednesday. The Indian rupee is the worst-performing currency in Asia so far this year, having lost more than 11 percent of its value against the US dollar. Just before 8:35 pm Beijing time on Wednesday, the rupee stood at 72.4 against the US dollar, data from x-rates.com showed. China’s reform of the yuan’s exchange rate mechanism in recent years, which has given consideration to both opening-up and risk control, could offer some insights for countries such as India, experts said. Zhao Gancheng, director of the South Asia Studies Department at the Shanghai Institute for International Studies, said that the direct cause of the rupee’s slide is capital outflows from India. These outflows are being driven by the rising US dollar and the widening trade deficit in India, a country highly dependent upon oil imports, after a rise in global energy prices in recent months. Zhao said another important reason for the weak rupee is that India’s financial opening-up policies in recent years have exposed the country to more risks than it can handle. 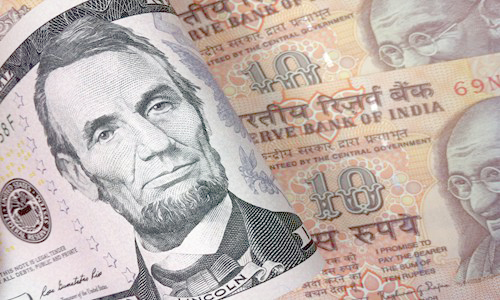 “The Indian government has launched measures to open up the financial market, but opening-up also means that the rupee is more vulnerable to external influences. Since the Indian government does not have enough foreign currency reserves, it can’t easily handle the side effects of this opening-up,” Zhao told the Global Times on Wednesday. China, in comparison, has been more cautious in opening up the financial markets. Although it has launched reforms to give market forces a stronger role in the exchange rate system, it has also fine-tuned some policies when those same forces cause too much yuan fluctuation, Zhou Yu, director of the Research Center of International Finance at the Shanghai Academy of Social Sciences, told the Global Times on Wednesday. For example, China used introduction of the counter-clinical factor into the yuan’s exchange rate system to adjust the markets. It was dropped out in mid-2017 but resumed this August to prevent excessive volatility. “This is deemed by some people as a sort of ‘anti-marketization’ tool. But I think it shows the government’s determination to maintain both opening-up and stability,” Zhou said. He also said that China has sufficient foreign reserves, putting it in a better position to stabilize its currency in cases of intense volatility compared with India and other emerging markets.